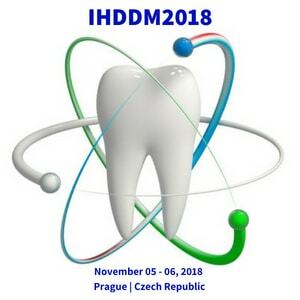 Innovation Info Conferences (IIC) proudly announces the International Conference on Holistic Dentistry and Dental Materials (IHDDM2018) to be held in Prague, Czech Republic from November 05 - 06, 2018. Dental conferences are designed in a way to provide diverse education and present latest technologies to keep medical professionals updated with present trends in the field of prevention, diagnosis and treatment of dental diseases and their effects on the complete human body functioning. Dental conferences are the best junctures to exhibit the novel technologies and innovations to get a better understanding of practical encounters met by dentists/physicians and patients in their daily life. The Dental Care conferences mainly focus on spreading the awareness about challenges in this arena.